I lived and worked as a licensed painting contractor in Paradise, CA, a town the news is saying has been nearly destroyed by a ferocious wildfire. There are 3 routes out of that town to the west, but none to the east. The only road east turns into an almost impassable dirt road and there are thousands who live in that town of Magalia (also known as Paradise Pines), which adjoins Paradise. But it looks like the fire started west of Magalia and was blown west, so those folk in Magalia may be OK.
Prayers up for all the poor folk suffering in that area. 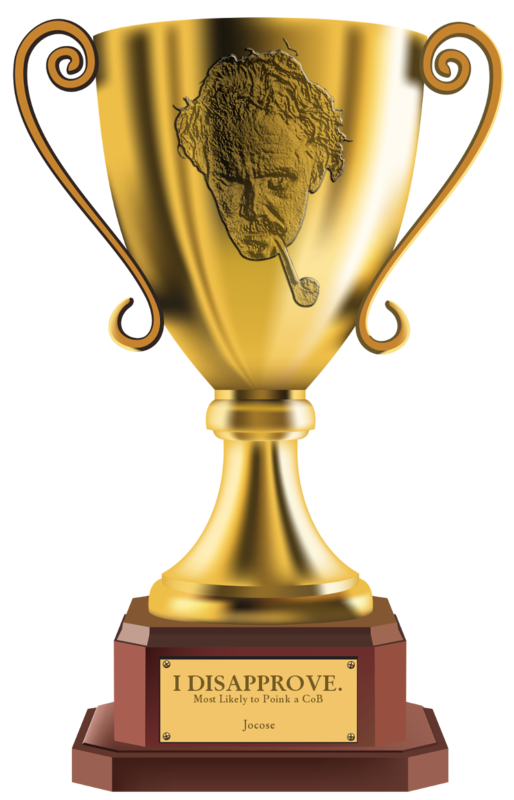 Last edited by Goose55 on Fri Nov 09, 2018 10:32 am, edited 5 times in total. It's like the whole place exploded in a firestorm! Yeah. There are -- or should I say were -- highly combustible Ponderosa Pine trees everywhere up there. 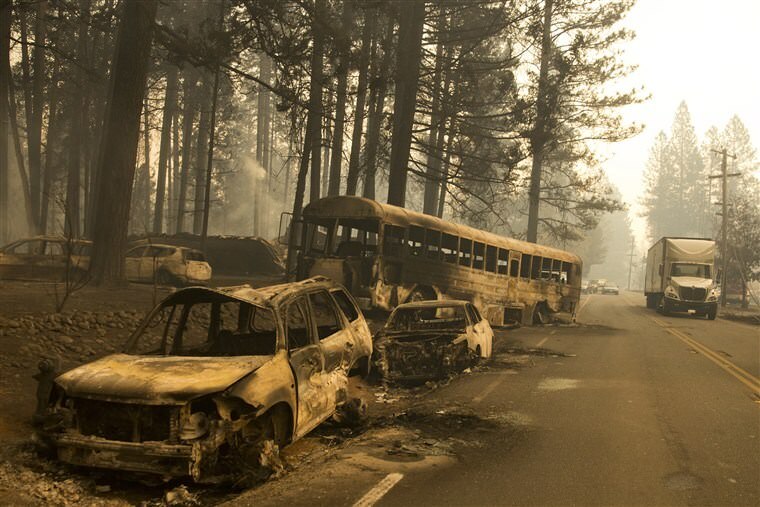 Last I heard this morning is the blaze is "0 %" contained and that indeed, the entire town of Paradise, CA has been destroyed. Such a shock to me because I had come to know that place very well having lived there many years. 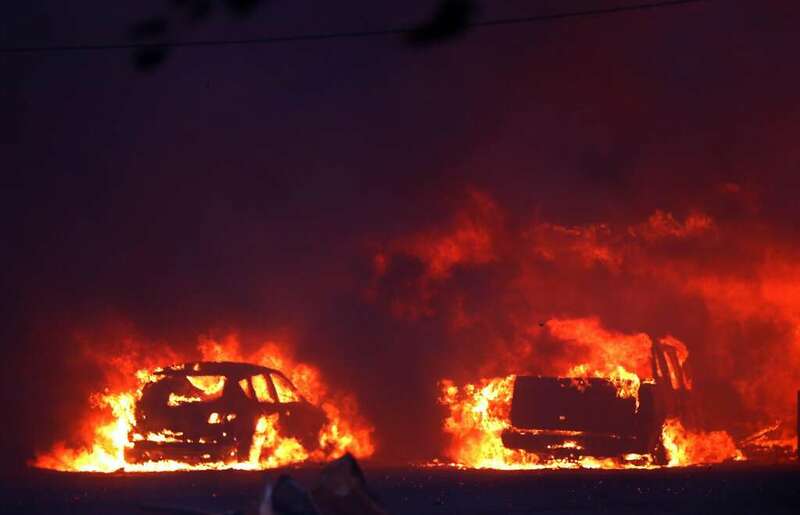 Been hearing about scores of people burnt to a crisp inside their cars and trucks, as they tried to flee. Hopefully, they were rendered unconscious by smoke before the flames. Firefighters made no attempt to fight this fire. It was a firestorm, such as happened in Athens, Greece earlier this year. The top stories of forest in which Paradise was, is Ponderosa Pine, highly combustible. LOTS of them, everywhere. The ground stories have lots of thick Manzanita, a very oily, dense wood that burns hot even when "green." This was a tragedy just waiting to happen. I lived in Paradise for 7 years and there was always a palpable yet mostly unspoken fear of what could happen if a fire ever ravaged the place. This was the perfect storm. After record rainfall 2 winters ago, underbrush that had grown so much and then dried through 2 long, dry hot summers was kindling for this unstoppable blaze. It seems like the whole state is burning up! No rain is predicted until after Thanksgiving. Fire officials say they expect strong winds to return Saturday night. The fire is just 20 percent contained. 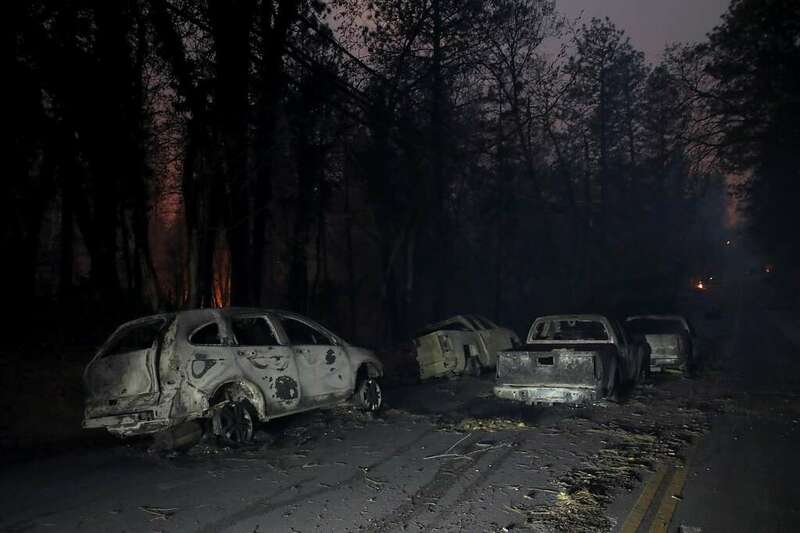 PARADISE, Calif. (AP) — Not a single resident of Paradise can be seen anywhere in town after most of them fled the burning Northern California community that may be lost forever. Abandoned, charred vehicles cluttered the main thoroughfare, evidence of the panicked evacuation a day earlier. Only a day after it began, the blaze that started outside the hilly town of Paradise had grown on Friday to nearly 140 square miles (360 square kilometers) and destroyed more than 6,700 structures, almost all of them homes, making it California's most destructive wildfire since record-keeping began. Indeed. 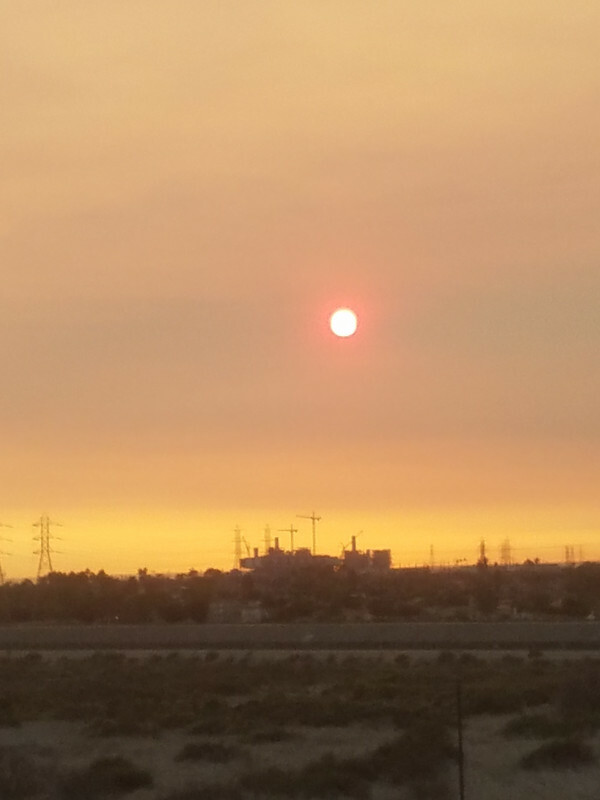 I see a the images after these large fires and it looks like something from a post-apocalyptic movie. Then I consider real people are dealing in real pain. 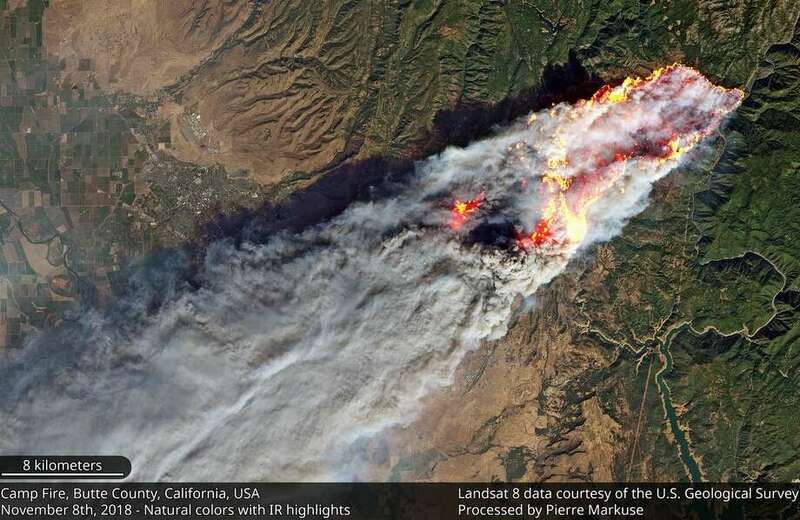 Pierre Markuse processed the satellite and infrared imagery from Landsat 8 of the Camp Fire in Butte County on Thursday, November 8, 2018, the day the fire broke out. The orange and red tones show infrared radiation emanating from the wildfire. A 45 mph east wind fed and drove the fire right through the town of Paradise. 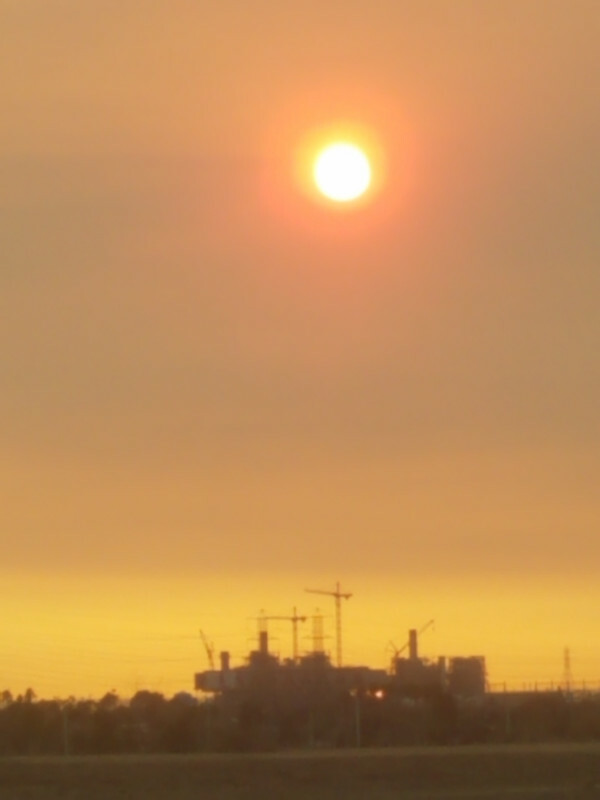 High smokey overcast in Fresno right now, blown in from the Camp Fire. There's a blanket of smoke over the whole state! Just found out that one of my son’s friends lost a home in Malibu. We have other friends who have evacuated. Last edited by Thunktank on Sat Nov 10, 2018 7:42 pm, edited 1 time in total. It's so sad that such a beautiful area of the U.S. must suffer such destruction. I had nothing but fond memories of the many years I lived in Paradise. Now those memories are gone.